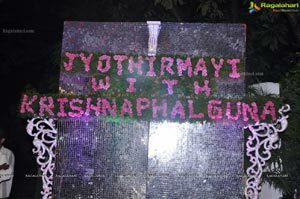 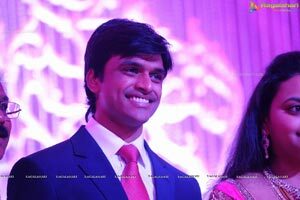 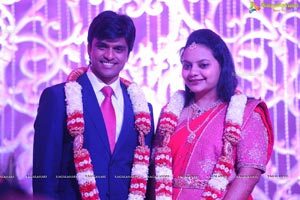 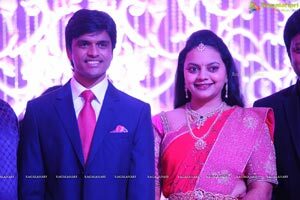 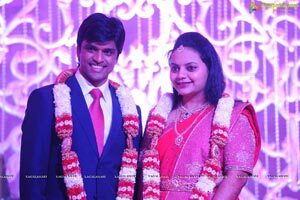 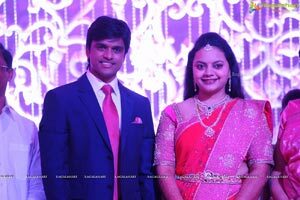 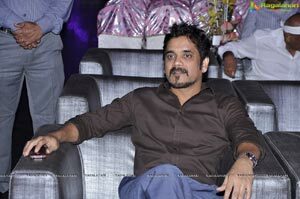 Sai Kumar’s daughter Jyothirmayi tied the knot with Krishna Phalguna on Wednesday, July 8th, 2012. 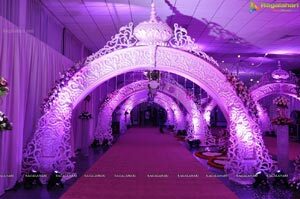 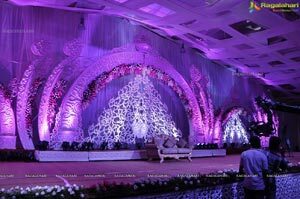 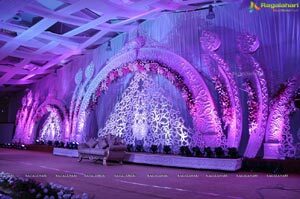 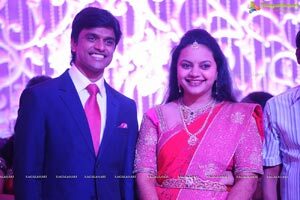 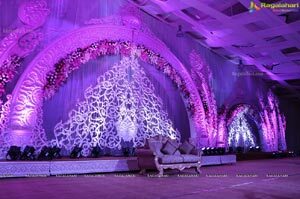 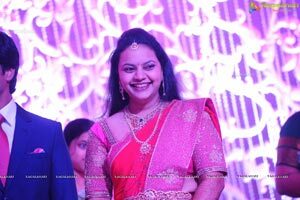 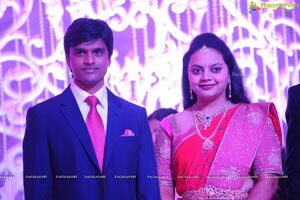 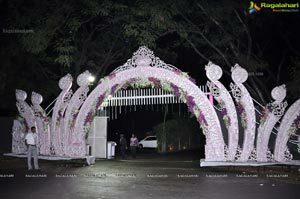 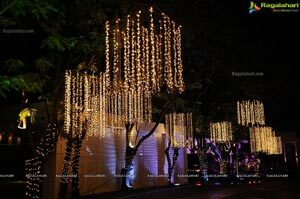 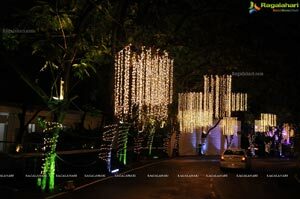 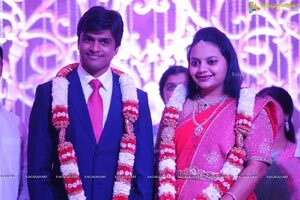 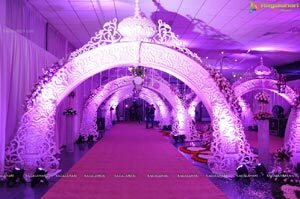 The grand wedding ceremony was held in Hyderabad on Wednesday morning followed by the majestic reception on Thursday, at N Convention Center, Madhapur in Hyderabad. 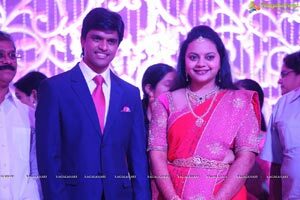 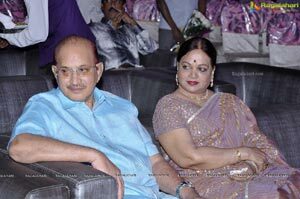 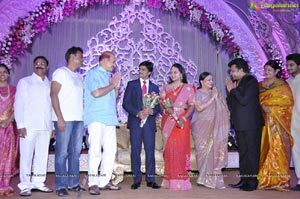 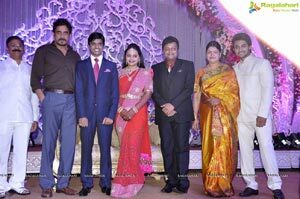 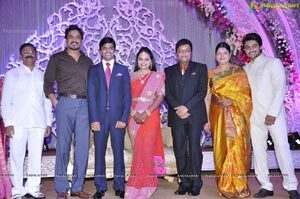 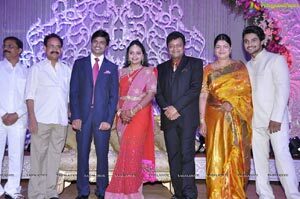 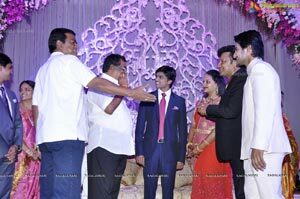 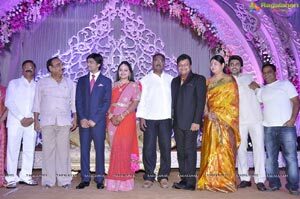 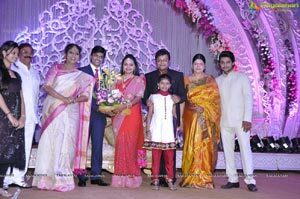 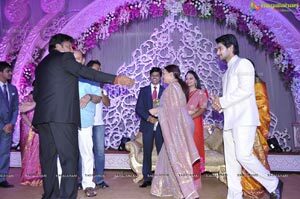 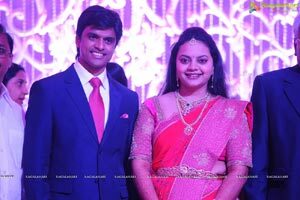 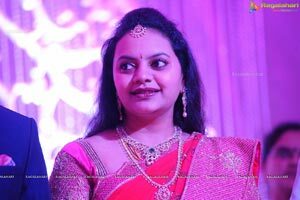 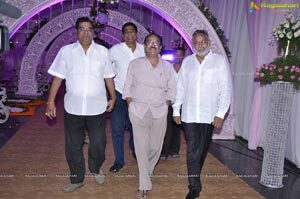 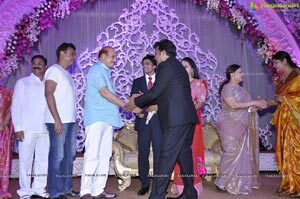 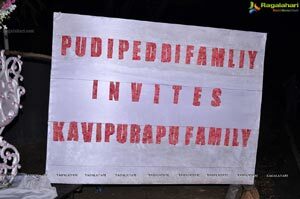 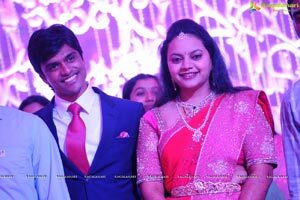 The event marked the presence of who’s who of Tollywood with Sai Kumar and his sons (elder son Aadi is a film star) personally welcoming all the guests who came to wish his daughter Jyothirmayi a ‘Happy Married Life’. 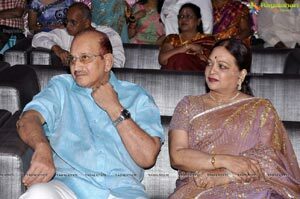 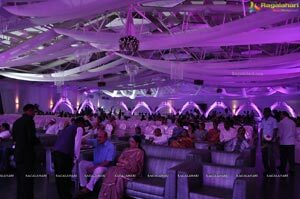 S P Balasubramaniam’s live concert is the highlight of the wedding event. 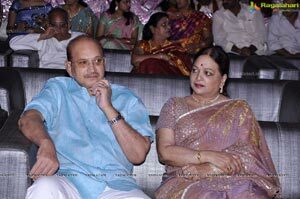 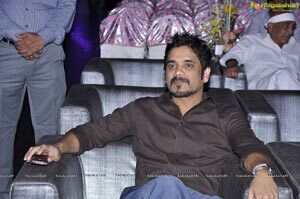 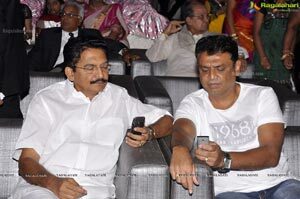 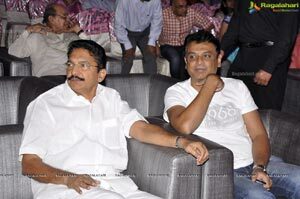 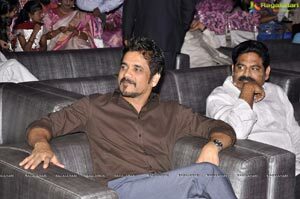 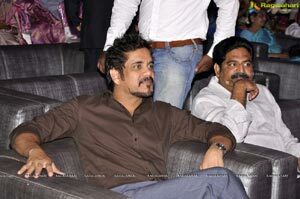 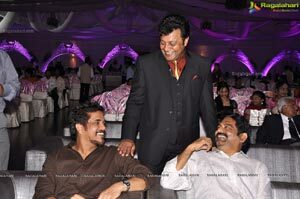 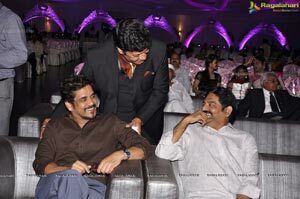 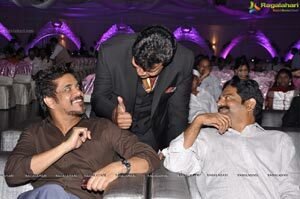 The legendary singer crooned the song “Mallellu Poose Vennela Kanthulu” along with Manu. 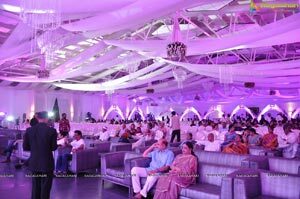 It’s only after 25 years he is performing live in a function. 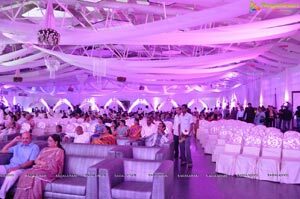 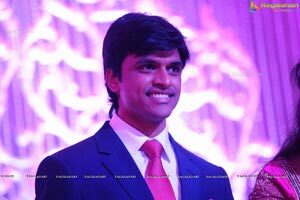 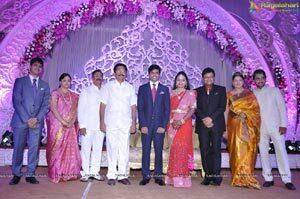 Others who attended the reception were Nandamuri Balakrishna, Akkineni Nageswara Rao, Nagarjuna, K Raghavendra Rao, D Ramanaidu, Venkatesh, Allu Aravind, Ram Charan Tej, Krishna, Vijaya Nirmala, Krishnam Raju, Murali Mohan,Srikanth, Naresh, Parachuri Brothers, Shankar Mahadevan, Rajasekhar, Jeevitha, Allari Naresh,Siva Balaji, Kodi Ramakrishna, Kota Srinivasa Rao, Brahmanandam, Dr K Vishwanath, Vijay Kumar, R Narayana Murthy, B A Raju, B Jaya, Singer Sunitha, Brahmaji, Babu Mohan, Suman, Sarath Babu, Roja, Sagar, Shyam Prasad Reddy and the list goes on.